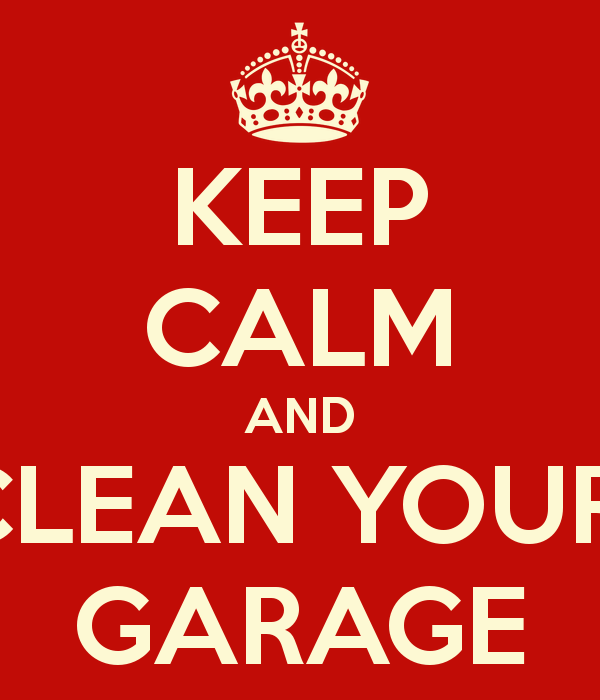 In case you missed ‘Clean the Garage Part 1‘… click the link. Now that you have gone through and gotten rid of everything that can be gotten rid of… it’s time to organize. Since minimalism is an art, the organization of the garage can become your masterpiece, and there really is no right or wrong way to do it. We have a decent size garage, with a lot of space. We are also fortunate to have a couple other storage sheds on the property to keep many of the seasonal items that we have, such as snow shovels and gardening equipment. So, when it comes to organization, the first thing we did was to move many of the items to where they needed to be in other locations. We have a lot of kids… so sometimes tools don’t get put back where they belong, and things just miraculously appear in the most random areas. It’s time to get these items back where they belong. These types of initial organizational things will begin to open up potential for your garage. But you need to ask yourself the question: What do we want this space to be? Is this garage a place to store tools and park the cars? Is this garage going to be a place where our kids have start a band? Is this garage going to be a place where we can invite some friends over to have a few drinks and listen to music on a rainy summer night? After you have identified the nature and the purpose of this space in your home, it is time to create, and bring this idea to life. For this summer, we decided to create a place for the kids to hang out and create, or watch a movie, or play video games. Last summer, we combined two homes, and so we have an extra couch and television cluttering up things. While we could donate these items somewhere else, we really felt like this would be a space outside of our living space for the kids to venture into and chill. It is not fancy by any stretch of the imagination, but so far the kids seem to like it. We put some musical instruments out there for those creative types… and some art supplies out there with a table to draw on. All of this is on one half of the garage. On the other half is the more traditional garage… tools and a few boxes that we still need to sort down. In the end, it feels good to be able to go out there and feel that the garage is more than just a giant junk drawer. It has a nature and a purpose… one that will bring the family together during the summer months, and give us a place to laugh and to play. Embarrassingly… we did fill up two dumpsters of throw away stuff in the process. That felt good in a way… but dang. That’s a lot of junk that was just sitting around. This is just about where I am right now. Many of the things that I moved out of the house ended up in the garage and are prepared for garage sale, or donation. It’s been building up for a while now and soon this project will be engaged. It’s one of those projects that is really big when you look at it. But has some of that instant gratification as you move through it that makes something that you can step back and look at. can’t wait to see how it comes out for you. It is a huge undertaking, but certainly a labor of love.